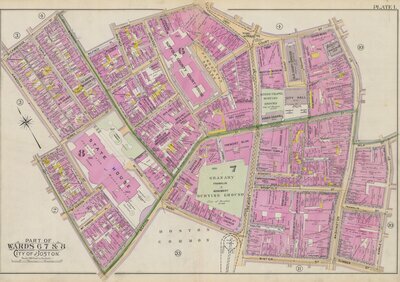 Part of Wards 6, 7, and 8 included in the Atlas of the City of Boston from actual surveys and official plans. Boston proper and Back Bay. Send Comment about Plate 1.